Recently we learned that a specific word is to be banned by the Associated Press (AP) when used in conjunction with another word: immigrant. The AP “stylebook” will be amended. 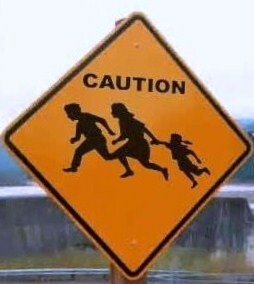 No longer will AP writers be allowed to write about “illegal immigrants.” Mind you, they have already done away with the word alien, as in “illegal alien,” replacing it with the word immigrant, in an attempt to avoid offending those who have blatantly broken our laws and, in the process, stolen resources, assets, jobs, and benefits from the citizens of OUR COUNTRY. The short-hand term illegals is also out, of course.